I ordered too much tulle for decorating Baby Bunny#1's birthday - and as she and her sister just love to play dress up and dance I decided on embarking on making some tutu's. 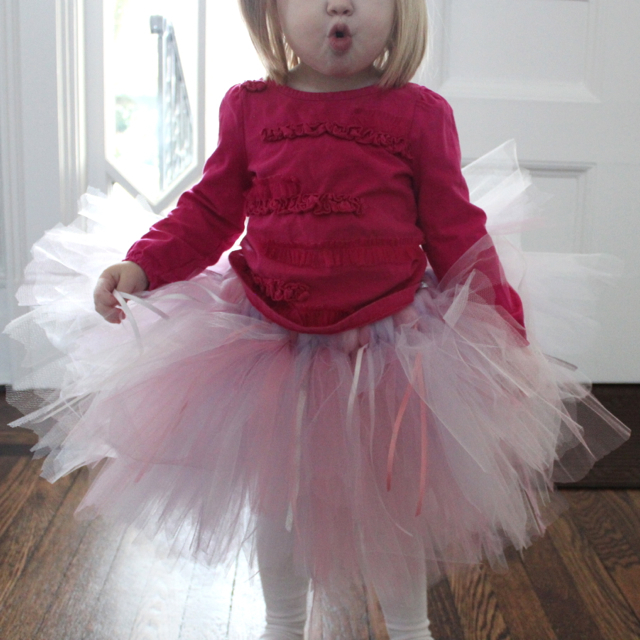 I couldn't find any tutorials for a sewn tutu - lots of other tutorials for no sew tutu's. My next four (possibly five) posts will be all about different ways to make tutu's - I hope not to bore you or reinvent the wheel! And I really hope my notes on tutu making will help you make your own. I used a 1" no fold elastic - which is quite sturdy stuff so I sewed the two ends together (does that mean I cheated on this no-sew tutu?). If you chose a thinner elastic or a ribbon you could just knot it. If you are using elastic you will want to make your waist band about 8% smaller than the persons waist. Here is a chart to help you.